So the BBC (the UK’s Television Broadcaster in Eurovision) have announced that they are to hold a National Final selection in the lead up to the 2016 Eurovision Song Contest, so that the public can decide who will sing for them. Yes, I did say that right, the public this time around will get to choose who will go to Stockholm. Will the UK find a winner in 2016? Before I get started, I should point out that I am a British Eurovision fan and for many years have always hoped that we would send songs to the contest that we can be proud of. In recent years, and I think I can speak for many people here, I have felt like the quality of songs we send have slipped significantly and something needs to be done about it. The UK has a great export of artists that go on to make it big worldwide, and after seeing Australia sending one of their big starts to the contest in 2015 (Guy Sebastian), I really feel that the UK need to step up their game and send something that would really set us apart. The thing that I have always found in Eurovision is that a great song will always do well, regardless of who sings it. If you have a fantastic song then nobody can really question it, can they? So going back to the fantastic news regarding the UK song selection for 2016, I would say this is amazing news for British Eurovision fans, and here’s why: It looks like we are about to be on the verge of a breakthrough at Eurovision. Yes, that is an ambitious statement to make, but I honestly think it’s true, I believe that this is going to be the start of a turn around in how well the UK do at the contest. People can believe what they want in regards to “we will never win”, or “it’s all political” but for once, I think, the BBC are about to take the contest a whole lot more seriously. It’s been announced in the press release regarding the new selection format, that the BBC are collaborating with the British Academy of Songwriters, Composers and Authors, otherwise known as BASCA for short, to promote a song-writing competition amongst its members. This, for me, is what is the most exciting prospect of the new format. BASCA is full of talented musicians and song-writers and aims to promote the best of song lyrics which go on to become massive selling songs in the music industry. It would mean that we would be saying goodbye to the bad songs we have seen in the past (they were!) and have songs that are contemporary and could be future worldwide hits, much like some of the songs used in the Swedish National selection, Melodifestivalen. 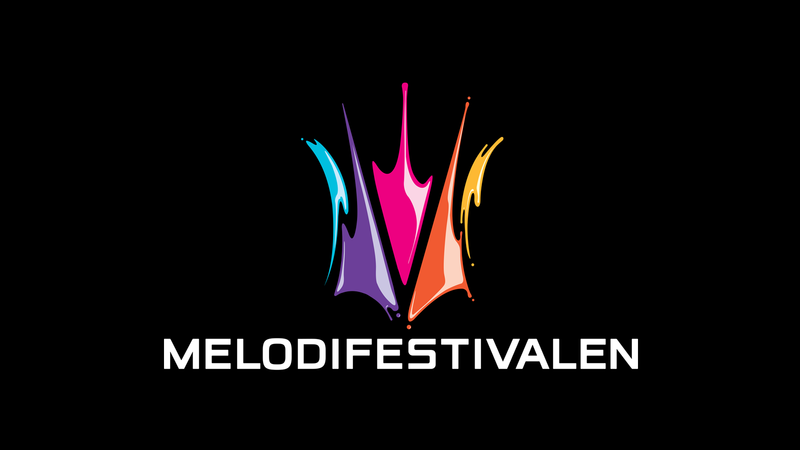 Melodifestivalen is the name of the Swedish National Final, held every year. The other good thing to come from this is that this will be a public selection. I would hope and like to think that the UK public will choose the best song and not be so focused on the act itself. I know you’re thinking “yeah right”, I mean the UK have picked Scooch over Cyndi before, and we sent Josh Dubovie in 2010 (nuff said!). With this in mind though, we have always been given the worst songs to pick from in the first place, so what else were we supposed to pick at the time? I would like to think that this time around, we will have a decent choice of songs to pick from, and not just “A” song that is given to the winning artist. This is really not the best method of selection, and I think we can trust the UK public to vote for a good song (not artist) when they hear one. The other good thing to bear in mind here is that it looks like the BBC are aiming their selection to up and coming people in the industry, not already established acts. As I mentioned before, the UK are fickle when it comes to selecting the artist and would tend to vote for a popular artist with a bad song and not so much an unknown singer with a good song, this is by history’s standards at least. If the selection only had unknown singers then there would be no situation like the one in 2007, where the unknown Cyndi just missed out on winning to the bright and colourful (and mildly popular) Scooch, which had a bad song compared to a good song. I think the likelihood will be that we will see brand new acts showcasing who they are and their talents and hopefully bring some good songs to the table, this is where I think a good decision will be made. Here’s a reminder of that cringe moment in 2007 when Scooch was declared the winner, although Terry Wogan did mess up the announcement which was pretty awkward to watch. If we are going to compare the UK selection to Melodifestivalen from Sweden, where the show is like the biggest ratings winner of the year over there, then we need to look and delve into how they do things. Melodifestivalen is full of both unknown acts and established popular acts, and of course, the popular acts always do well and will pick up the votes. They all have one thing in common though, and that is great well-written songs. Last year, for example, the organisers of Melodifestivalen had to whittle down a total of 2177 songs submitted to 28, normally the number of submissions is much higher as well. What I am trying to put forward here is that they focus a lot on the song itself as well as the artist when attempting to pick the representative for Sweden. This is what I think the BBC are starting to realise, hence the collaboration with BASCA. If we focus on getting the right song selection, and then maybe the right artists, be it a popular or newcomer act, then we are definitely on to a good thing. If we have at least one great song presented to us this coming year, then we are at least one step ahead from where we were in Eurovision 2015. We need to present contemporary songs to the rest of Europe, songs that would be worthy of becoming worldwide hits, and then “if” we still fail after sending something really good, only then can we question our participation in the contest. It is almost 20 years since our last win for the UK, but I am confident that all is not lost and there is still hope. We need to get behind our representative and have a firm belief in the fact that we can win this, if we try!